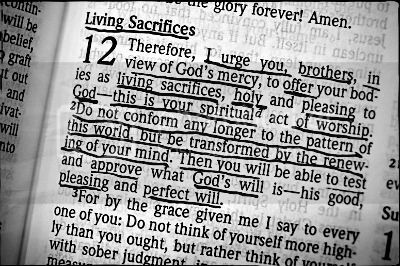 There was a profound change in God’s plan for acceptable worship. It once required all those complicated requirements for acceptable worship: a temple building, with furniture and relics and a priesthood and an altar and animal sacrifices according to the calendar, but now all that is changed. God no longer has a temple building of stone and wood, but in this new dispensation of the grace of God, the temple of God is the believer’s body! “Your body is the temple of the Holy Spirit who is in you” (1 Cor. 6:19). Today we worship God, not by going to a building (after all, we are God’s building), or making use of certain furniture, and the appropriate personnel, and observing a certain ritual; OUR worship today, for members of the Body of Christ, is to present our bodies a living sacrifice. When Paul writes, “which is your reasonable service,” we should underline the word “your.” Israel’s acceptable worship was there at the temple, doing the prescribed ritual, but Paul writes, “YOUR worship, the worship God had commanded from you Gentiles, you members of the Body of Christ, YOUR worship is to present your bodies as a living sacrifice." Our worship today, again, is not to go to a certain building, on a certain day of the week or certain holy days of the year. It is not to practice a certain ritual. For God’s “earthly people” Israel that was appropriate, but God has set the people of His “Holy Calling” free from that kind of worship. We can worship God at any time and in any place. We can worship Him continually, not just once in a while. We don’t need a priesthood or a building or a special day. Our worship service is not just one hour on Sunday morning, but a life. 24 hours a day; 365 days a year! Due to ALL the speculation, and the wrong and often felonious teaching being spewed out by so many pastors, preachers, teachers, and so-called theologians, regarding the Last Trump of 1 Corinthians 15:51-52 being the same as the Seventh Trumpet Judgment of Revelation 11:15 , we submit to you, here, our exegesis, our teaching, on the matter. 1 Corinthians 15:51-52 , "Behold, I shew you a mystery; We shall not all sleep, but we shall all be changed, in a moment, in the twinkling of an eye, at the last trump: for the trumpet shall sound, and the dead shall be raised incorruptible, and we shall be changed." AND, Revelation 11:15 , "And the seventh angel sounded his trumpet; and there were loud voices in heaven"
Each seventh Seal, Trumpet, and Vial in the Book of Revelation is marked off from the preceding six by unmistakable signs, sufficient to show us that they are resumptive rather than continuous. They each go over the SAME ground to give particulars not contained in the others, bringing us to a crisis; and giving the other events in the corresponding period, but from a different point of view. The background details. In the Book of Revelation, we see in Revelation 11:15 , this Trumpet called the "seventh" Trumpet, and it is the "last" of this special series. But it does NOT mean that there will be none after: or, that a trumpet sounding BEFORE it may not also be called the "last," relative to another subject. In 1 Cor. 15:51-52 , we read of "the last trumpet: for a trumpet shall sound." In 1 Thess. 4:16, we read that the LORD "shall descend from heaven with a shout, with the archangel's voice, and with the trump of God." This is the "last" Trumpet with regards to the Body of Christ, but NOT the last absolutely. 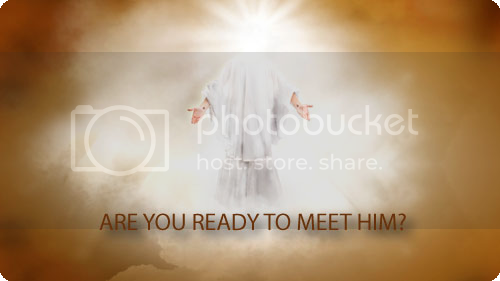 Now, pay attention, there will be ANOTHER great trumpet AFTER the Great Tribulation, immediately connected with the LORD's Revealing. See Matt. 24:31 . 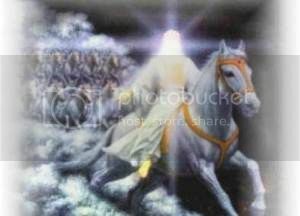 This is AFTER this Revelation 11:15 "seventh Trumpet", for that Apocalypse (revealing) is recorded in Revelation 19 . 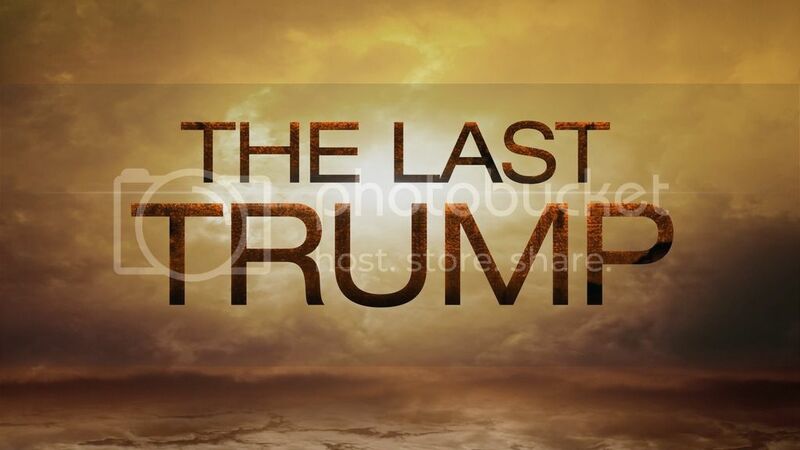 So, we can CLEARLY see that the seventh Trumpet in Revelation 11:15 is NOT the "last Trump," absolutely, but ONLY relatively; for it is only the last of the particular series of seven seen in Revelation. FURTHERMORE, this trump of Revelation 11:15 is not called "the last": nor is it necessary for us to call it the last. However, the Trump in 1 Cor. 15:51-52 , IS called The Last with reference to the Body of Christ. It is the Trump which shall close our connection with the earth; and therefore there is a true sense in which it is OUR, (members of the Body of Christ), last Trump. The Trump of 1 Cor. 15:51-52 , is the same that is mentioned in 1 Thess. 4:16. We have had so many positive proofs that the Seven Trumpets in the Book of Revelation belong to another Dispensation altogether, therefore we cannot read this into our "calling on high" (Phil. 3:14 ), and confuse it with the trumpet which shall bring on the last of God's plagues and end up His judgment of the earth. The sounding of the Trumpet in Revelation 11:15 produces great activity and stir in Heaven. 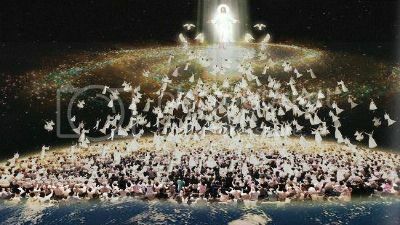 Again the Trumpet in Revelation 11:15 is sounded IN HEAVEN, (and NOT in the air above the earth). It is nothing less than the proclamation of the coming Coronation of earth's rightful King (compare 2 Sam. 15:10 and 1 Kings 1:39 ). It is the signal that, at long last, the hour has come to herald the glorious news of the setting up and establishing of God's Kingdom on earth. It is the announcement that the prayer of the ages, "Thy kingdom come", is about to receive its glorious answer. For THIS is the subject of the loud voices in heaven. 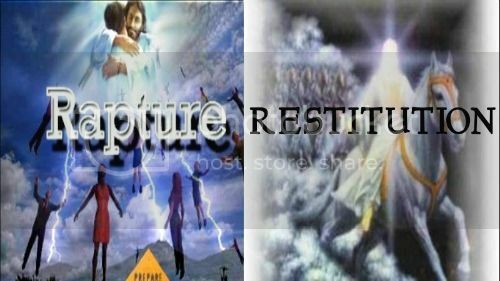 PreTribulation Rapture, Conclusion: Is the FIG TREE of Luke 21:29 now shooting forth? Is the ‘FIG TREE’ of Luke 21:29 now shooting forth? Is Israel’s redemption nigh? The ‘sign’, Pre-Tribulationists say, that nothing like the return of the Jews to Israel, in 1948, and the re-capturing of Jerusalem in 1967, has taken place since Titus, in the year 70 AD, destroyed the holy city, in fulfillment of Matthew 22:7, since which time the Jews have been scattered all over the world, in fulfillment of Luke 21:24. Behold the other trees. (Luke 21:29). Look what is going on in the U.N., and in the United States. Look at what is going on in the Middle East, and in Europe. Look at what is going on with the Economies of nations around the Globe. Can there be any possible solution other than the return of the King? And, must that coming not be preceded by the reign of the Antichrist? The talk about Pakistan, North Korea, and Iran, having Nuclear Weapons may cause many to fear and have heart‑failure, looking after those things that are coming on the earth (Luke 21:26), and there is no doubt that political leaders all over the world seem helpless and hopeless, like actors without a viable script. Surely God is going to plant His ancient nation in their own land and they are never to be plucked up again (Amos 9:11-15), but are we to believe that God is going to lead them there through the deceit, trickery, violence, and bloodshed now being carried on, and that only a small percentage of the world’s population of Jews will return to the Land? And again we ask the question, what about the Pre-Tribulation Children of God, in the 20th, 19th, 18th, and 17th, and even earlier centuries, who had Scriptural right to believe in the any-moment appearing of Christ to remove them, as living saints, to glory? They all had plenty of signs and many of them in certain centuries thought they were in the Great Tribulation. Last week I read the testimony of a Bible teacher, who wrote 100 years ago, and he was sure that the end of the ‘Church’ age was at hand. He saw plenty of “signs”. The people, who are instructed, in Luke 21:28, ‘look up, and lift your heads; your redemption draweth nigh,’ are Jews in the midst of the Great Tribulation, with signs and wonders on earth and in the heavens. They are there in the time of Jacob’s Trouble. 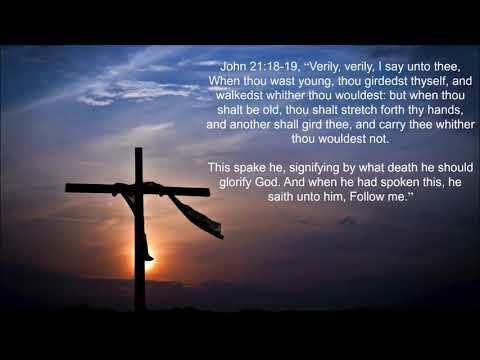 This is right before the coming of the Son of man to earth; for judgment and for Israel’s redemption. The Day of Redemption for members of the Body of Christ, the realization of the blessed hope, the Mystery coming of Christ in a moment in the twinkling of an eye (Ephesians 4:30; Titus 2:13; 1 Corinthians 15:51-54) is NOT the ‘redemption’ mentioned in Luke 21:28. This is agreed to by most Pre-Tribulationists, who preach and teach the Gospel of Grace in this Age of Grace. But, still, many of them ask, whether it’s not possible and probable that members of the Body of Christ might see some of the signs of the coming of the Son of man to earth, and should they not, with the warning in 1 Thessalonians 5:1-9, and knowing that the Body of Christ will be Raptured before God pours out His wrath and fury on the nations, believe that this proves that the Rapture is very, very near? We again bring to mind Romans 16:25. However, whether we walk by Faith or by “signs”, let all of the members of the Body of Christ, be looking for the Blessed Hope, the appearing in glory of the LORD Jesus Christ, at any moment. 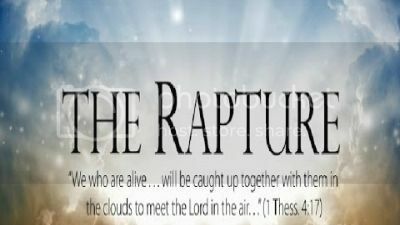 PreTribulation Rapture, part 10: Body of Christ NOT on Earth for Tribulation. Period! In the days of Moses it is recorded, ‘God spake all these words,’ and centuries later the Apostle Paul declared that Christ was speaking in him (2 Cor. 13:3). All members of the Body of Christ should know that all Scripture is given by inspiration of God. No Scripture is unimportant, unprofitable or uninspired, and every believer should diligently study every word in the Bible, under the direction, of the Holy Spirit; HOWEVER in rightly dividing the Word of Truth every Child of God should know that much of God’s inspired Word does NOT refer to the hope and calling of the members of the joint-Body of Ephesians 3:6, the Body of Christ, the Mystery. The workman, who is not ashamed, studies, interprets, appropriates and applies all other Scriptures in the light of ‘THE UNSEARCHABLE RICHES OF CHRIST’ (Ephesians 3:8); and seeks to be established by the preaching of Jesus Christ, according to the Revelation of the Mystery, kept secret since the world began, the ‘REVELATION’ ministry of the Apostle Paul. When Paul wrote of that which was given us ‘BEFORE THE WORLD BEGAN’ (2 Timothy 1:9) he added that he was appointed messenger (2 Timothy 1:11). Eternal life promised ‘BEFORE THE WORLD BEGAN’ (Titus 1:1-2), ‘WHICH IS COMMITTED UNTO ME (PAUL)’ (Titus 1:3). “How that by revelation He (Christ) made known unto ME (Paul) the MYSTERY.” (Ephesians 3:3). “I (Paul) have laid the foundation.” (1 Corinthians 3:10). “The MYSTERY OF THE GOSPEL for which I am an ambassador in bonds.” (Ephesians 6:9-20; Colossians 4:3-4). “Whereof I (Paul) am made a minister, according to the dispensation of God which is given unto ME (Paul), THE MYSTERY, which hath been hid.” (Colossians 1:25-26). 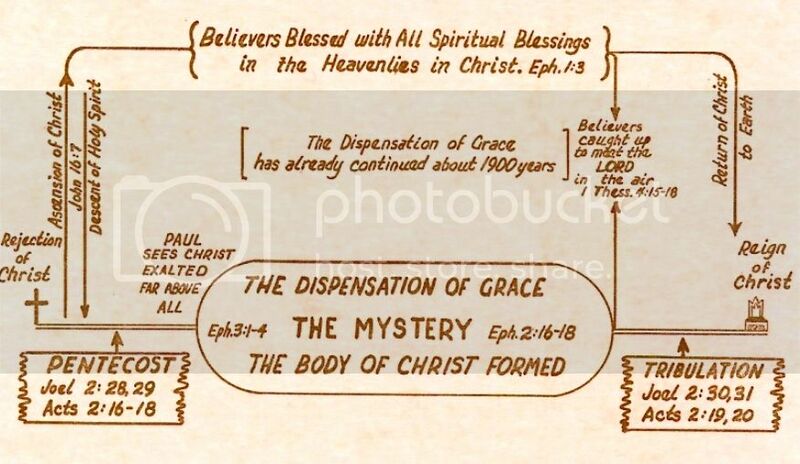 These wonderful truths are to be understood and taught by faithful stewards of the Mysteries of God (1 Corinthians 4:1-4), every one of whom is to do his utmost to make all saints see what is ‘the dispensation (not fellowship) of the Mystery.’ (Ephesians 3:9). And surely, no true, spiritual, intelligent, faithful steward will teach that ‘all things work together for good to them that love God’ unless they add (and know why), ‘to them who are the called ACCORDING TO HIS PURPOSE.’ (Romans 8:28). He is a workman that needed to be ashamed who does not know the difference between Divine Truth, ‘ACCORDING TO THE SCRIPTURES’ (Prophecy) and ‘ACCORDING TO GOD’S ETERNAL PURPOSE’ (Predestinated but not prophesied). Regardless of what the preachers, leaders, and pastors teach, or do not teach, let each of us, who are saved by the Grace of God, be established by the preaching of Jesus Christ, ‘ACCORDING TO THE REVELATION OF THE MYSTERY,’ which had been hid from all men until the risen Christ revealed it to the Apostle Paul and gave him his Gospel by revelation (Galatians 1:11-13; Ephesians 3:1-4). If we really believe that the prophesied spiritual‑political Kingdom of Heaven has been postponed and that the clock of prophecy really stopped with the fall of Israel, after the Apostle Paul’s warning in Acts 13:40-41 and the great turn of Acts 13:46, let us be sure that the Lord will have the Church of the Mystery (unprophesied) safe, and in Heaven, before the awful time described in Luke 21:25-33; Matthew 24; and Revelation 6-13. We should not expect anything but confusion, in any explanation that the Church will be saved from the Great Tribulation, from Bible teachers who teach that ‘the Dispensation of the Mystery’ (Ephesians 3:9), ‘the dispensation of the Grace of God for Gentiles’ (Ephesians 3:1-4), began on the day of the Pentecost several weeks after the death and resurrection of Christ. The great events foretold by Joel, David, Moses, Samuel and all the prophets, including Amos, and proclaimed by Peter and the Eleven, ‘the times of the restitution of all things’ (Acts 3:19-21), had nothing to do with God’s purpose and Grace given to Gentiles in Christ before the world began (2 Timothy 1:9). What a great difference between the Divine Truth preached by the Twelve apostles, on the day of Pentecost, Truth foretold by all of God’s prophets SINCE THE WORLD BEGAN (Acts 3:24; Acts 3:19-21), and the preaching of Jesus Christ, ACCORDING TO THE REVELATION OF THE MYSTERY, which was kept secret SINCE THE WORLD BEGAN. What a pity that outstanding Pastors, Preachers, and Seminary Professors, to whom God’s people are looking for leadership, are neither establishing themselves, nor the people, because they do not know the difference between Peters’ Pentecostal Restitution message and the Apostle Paul’s Gospel, the preaching of Jesus Christ, ACCORDING TO REVELATION OF THE MYSTERY. As we carefully, diligently, spiritually study the Divine Truth in the first eleven chapters of the Book of Acts, during those first years after Pentecost when Peter was using the keys of the Kingdom of Heaven and preaching what Joel, David, Samuel, Moses and Amos and other prophets had foretold, certainly Peter and the Eleven were not preaching ‘Jesus Christ, ACCORDING TO THE REVELATION OF THE MYSTERY’ (Romans 16:25). They were not preaching the “MY GOSPEL’ of Paul, for which he was in chains, (2 Timothy 2:7-9 and Romans 16:25). The Lord Jesus Himself, in His recorded ministry in Matthew, Mark, Luke and John, was not preaching HIMSELF, according to the revelation of the mystery, kept secret since the world began. Even the writer of the Epistle to the Hebrews instructed the believing Hebrews to leave the first things spoken by Christ and go on to perfection (Hebrews 6:1-3), and even the truths which the Twelve could not bear until the Holy Spirit came down from heaven (John 16:10-14) were not sufficient to establish members of the Body of Christ, as they were, and are, to be established by the Apostle Paul’s Gospel and the preaching of Christ, according to the revelation of the Mystery. Members of Christ’s Body cannot be established by preaching they do not understand; and they cannot understand the truth by which they are to be established until and unless they pray the prayer of Ephesians 1:15-23. In Romans 11:33, the words, ‘PAST FINDING OUT,’ should be translated, as in the Revised Edition, ‘PAST TRACING OUT.’ What this means is that the truth of Romans 11:30-32 was not ‘PROPHESIED’ truth; for no prophet of Israel prophesied or knew the truth of Romans 11:30-31, which the Child of God must understand today, if they are going to obey Ephesians 3:9 and know the difference between the ‘CONFIRMATION’ ministry of Jesus of Nazareth to Israel and the ‘REVELATION’ ministry of the Apostle Paul to the Gentiles (Ephesians 3:8-9). Remember it was not a hidden ‘MYSTERY’ that the Lord Jesus would come, and shall yet come, as the Son of man for Israel’s redemption. Note in Romans 11:26, the words, ‘AS IT IS WRITTEN.’ The Jews require a sign. 1 Corinthians 5:22. Members of the Body of Christ walk by faith. 2 Cor. 5:7. Now abideth faith, hope, and love. (2 Cor. 13:13). Even the ‘sign‑gifts’ passed away. (2 Cor. 13:8-11). Christ’s spiritual program for members of His Body was somewhat changed after the sudden closing of the Book of Acts several years before the death of the human author of Acts (2 Timothy 4:11). And most assuredly this new spiritual program, covered by Divine Truth, called the ‘UNSEARCHABLE’ (Past‑tracing‑out) riches of Christ (Ephesians 3:8), was never contemplated by any prophet of Israel. And most assuredly the coming of Christ for this Church of the Mystery was never contemplated by any of those prophets or told to God’s people in other ages and generations. The ‘TRIBULATION’, and the coming of ‘THE KING’ to redeem Israel, to build again the tabernacle of David, and to plant Israel in their own land (Amos 9:11-15), and establish His prophesied KINGDOM, and reign as PRINCE OF PEACE, were certainly prophesied by Israel’s prophets and were included in the promises which the Minister of the circumcision, Jesus of Nazareth, came to Israel to confirm. As the prophesied THRONE will NOT be set up on this earth until AFTER God has accomplished His ETERNAL PURPOSE in this Age and Dispensation, so NEITHER will the ‘GREAT TRIBULATION,’ ‘THE TIME OF JACOB’S TROUBLE,’ be on the earth until AFTER God has accomplished His ETERNAL PURPOSE in this Age and Dispensation!